December 2012 is best forgot in relation to bike riding as for many reasons , none was done! However as the man in red brought me some shiny new kit for the bike I was keen to mount the saddle. I managed a short ride on 1/1/2013 of some 5 miles locally. The new toys included a basic bike computer, a smalll frame bag for odds and sods, a pannier rack, heavy duty pump and a top bag. 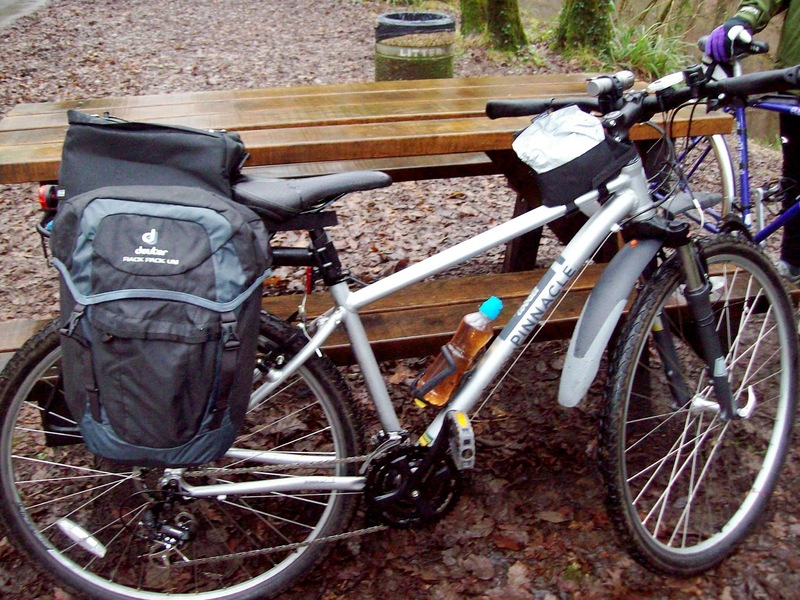 In addition I treated myself to a pair of Deuter pannier bags from Wiggle – bargain. Anyway today was a longer ride in the company of Paul. The weather was misty and low clouds and hence very little in the way of photos. We parked up on the east side of Lougher Bridge (Swansea Jack side) and set off on Route 4 passing through Gowerton and onto the main bike trail. Even through Gowerton there was a wide bike lane on the pavement side. The route follows an old railway line and is tarmac all the way down to the Mumbles road. 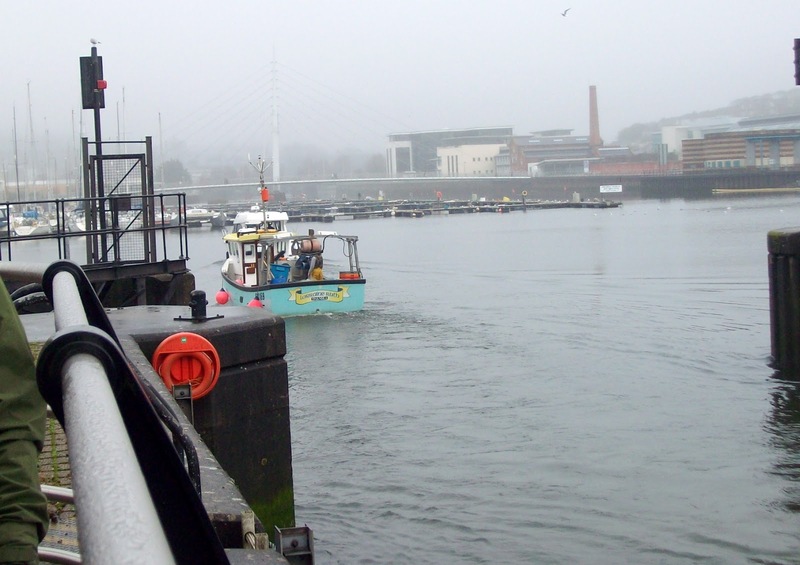 The previous time I rode here I turned west and headed to Verdi’s but today we turned east and rode to the Swansea Marina where we sheltered by the lock keepers office and had a spot to eat. We thought we would ride on to Verdi’s but the weather had become worse and we returned up through the bike trail and eventually back to the car. As usual it was good to be out but hopefully the weather will be kinder next time.